The social network marketing service in active until the desired number of photo likes (500) have been reached. You can promote pictures and picture albums from fanpages. Please make sure that it is public. For privat accounts: We can only promote cover photos from private profiles. 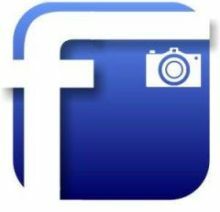 For photos: Visit your fanpage and click on 'Photos' on the left side. Click on the photo you want to promote. Copy the url from browser address line. For picture albums: Visit your fanpage and click on 'Photos' on the left side. Click on the album you want to promote. Copy the url from browser address line.